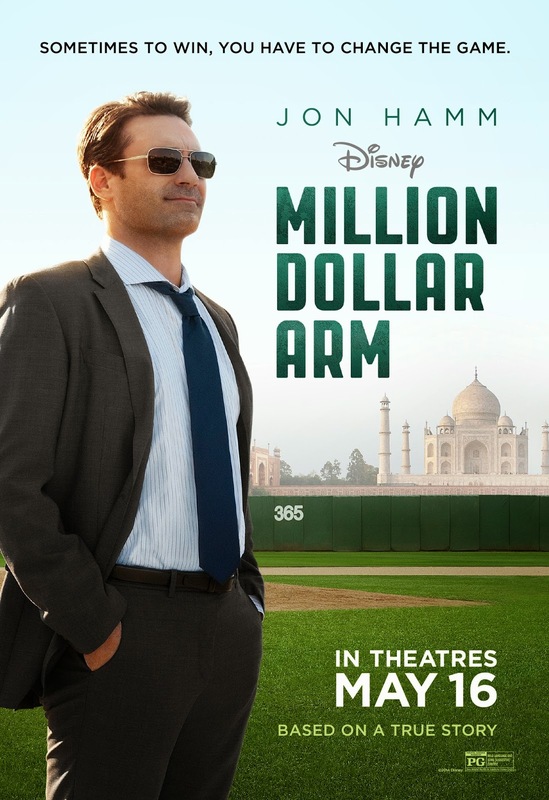 I was fortunate enough to attend a free screening of Million Dollar Arm and I really enjoyed the movie. At first, I wasn't very interested because I'm not a big fan of sports movies. I was actually pleasantly surprised. It wasn't just the storyline that became interesting, but I loved seeing footage from India and hearing the Bollywood music. I don't get out of the country much so whenever I can experience anything that has to do with another country, it's neat! This movie is based on the true story of sports agent JB Bernstein. We watch him as he struggles financially and become hopeful when he comes up the idea to travel to India to recruit cricket players for his business. Lol, if you're like me, you're thinking, "Uh what is cricket?" Apparently, it's a big thing over in India. Looks like a cross between bowling and baseball. With the go-ahead from his financial sponsor, he heads to India and starts spreading the word. After a few months, the actual Million Dollar Arm contest is held in India and two 18 year old winners, Rinku & Dinesh, are chosen to come back to the U.S. and train so they can try out the MLB. Funny thing is: these guys don't like cricket and have never played! They just happen to have great arms! Back in the U.S., JB enlists the help of a college baseball coach (played by Bill Paxton) and realizes that it will take longer than he though to get these guys ready. 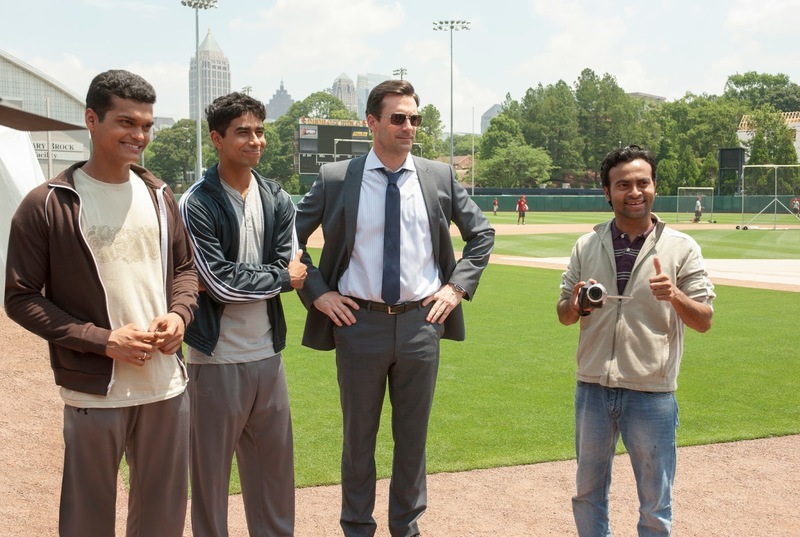 Million Dollar Arm made me laugh quite a bit, but it also had thoughtful moments. I got teary-eyed, darn it! Amit was hands down my favorite character in the movie lol. :) Fun stuff there with that man! Another thing I loved: the rolling credits at the end of the movie. I normally dislike sitting through the end credits, but it was really interesting to see what Rinku and Dinesh actually looked like. Also, learning that JB had a happy ending in his life as well. I definitely would see this movie again! I recommend it to those looking for a cheap visual getaway, those wanting to learn a history lesson, or those just wanting some laughs! While I did attend a free screening, I was not obligated to write a review of this movie nor did I receive any monetary compensation.